With its compact design and modern interiors, the 18-passenger minibus is perfect for local Las Vegas events. Ride to and from Las Vegas’s top casinos, resorts, and festivals in your own private shuttle. Your driver will gladly take your group anywhere and everywhere you want to go. Ready to get started? 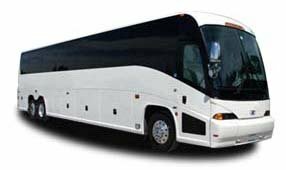 Call us today at 702-780-0886 for the best charter bus service in Las Vegas for school field trips, weddings, corporate conferences, sporting events, and more. Our knowledgeable staff is standing by 24/7 to provide you with a no-obligation quote!